John D. Todd, chairman of The Todd Corporation in Wellington, New Zealand, is a big fish in a small pond. And the 74-year-old head of the family-owned energy conglomerate plans to continue getting bigger. Forbes estimates his Todd Corporation is worth at least $1 billion. The fortune was launched four generations ago in 1885, when Todd’s great grandfather, Scottish immigrant Charles Todd , founded a farming goods store in Central Otago. By 1929, it had evolved into an automobile and gasoline marketing enterprise. Todd Capital’s largest holding is a 14% stake in Independent Newspapers (INL), New Zealand’s largest media company.Rupert Murdoch Rupert Murdoch ‘s News Corp. also owns a 49% chunk. Todd originally bought into Sky Network Televisiona decade ago for less than one New Zealand dollar per share. In May, he swapped his Sky shares for INL shares, which are trading around NZ $3.50. Having a free hand to seek long-term opportunities has been Todd’s key to success. “We have always been long term investors, and being a private company, we are able to do that,” he says. His first year as chairman in 1987 was his most dramatic. The company had just sold its Todd Motors division to Mitsubishi Motors for an undisclosed sum and was reportedly cash-rich. (The sale was a defensive move in the face of increased competition.) But there was a potential problem. “My entire background in business was in Todd Motors,” explains Todd, who was 60 when he took the helmn. “I was very much an auto man.” To his surprise, he found the non-auto world as exciting. With the motor unit sold off, he was free to pick a new business. He chose telecommunications, media and television because he saw growth opportunities there. His first move was to buy a 25% stake in a telecom company called Clear Communications for an undisclosed amount, which he sold in 1999 to British Telecomfor about $85 million. But 1987 had even more drama. In October, a sharp drop in stocks on Wall Street triggered a major recession in New Zealand that lasted more than a year. “So much commercial activity was gone. Entities went bankrupt. We survived because we didn’t have major equity investments,” Todd recalls. Since then, Todd has expanded his company’s energy interests. Todd Energy holds long-term licensing rights to explore, drill and produce oil and natural gas fields in the region. The licensing rights provide a steady income, but gas prices are often below what world markets command. To compensate, Todd got into closely related ventures like natural gas-powered electricity generation and hydroelectric generation. He also started selling electrical energy directly to domestic and industrial users. Despite diversifying into media, Todd has no intention of moving away from energy. In his latest move, he’s eyeing the purchase of some of the $600 million in oil and natural gas concessions fromRoyal Dutch/Shell . Shell had to divest the assets as part of its agreement to buy New Zealand’s Fletcher Challenge Energy for $1.7 billion last year. Todd says the company is looking at further opportunities with technology stakes in Australia. Off hours, Todd keeps it simple with an occasional trip to his vacation house, where he enjoys boating on a lake and golfing. 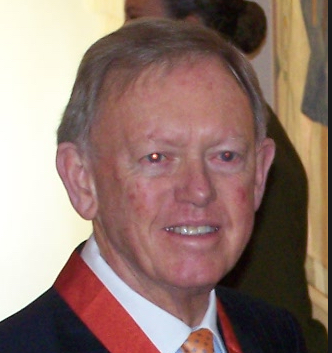 He has a longstanding interest in the arts, and is a trustee of the Arts Foundation of New Zealand. He also chairs the Todd Foundation, a philanthropic trust that funds education and other youth-oriented projects. He enjoys fiction and has recently finished Margaret Atwood’s The Blind Assassin. Up next: The Principles of Philosophy, by Bertrand Russell.